It’s easy to get caught up in all the hype around Black Friday. There’s so much craziness that happens every year including fights, tears and other frustrations. The most wonderful time of the year can quickly turn into a retail fueled nightmare if you let it. 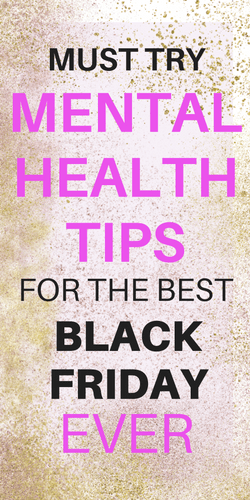 Don’t get caught up in the madness, here are my mental health tips for Black Friday. To stay truly sane spend the day reading or go do something outside. Do an activity that will make you feel good and enrich your life. A lot of people use shopping for a temporary fix but remember that material things aren’t ever going to make you happy. Spend the day doing activities that will actually enrich your life. My family has recently started focusing on gifting experiences and activities we can all do together instead of buying stuff. Last year we all went on a river cruise and we gave my Dad concert tickets. This helps cut down on the amount of consumerism and waste we produce around the holidays and it gives us all something we can look forward to doing together. 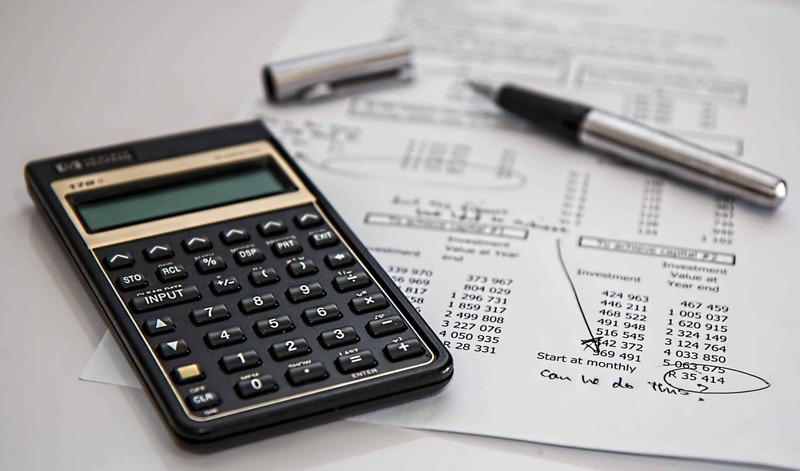 Opting out can be hard to do if you’re broke and this is the only time of the year you can afford certain items. My boyfriend and I once slept outside of a Best Buy because I needed a laptop for college and that was literally the only way we could think to afford one. Cyber Monday has become pretty bomb in the last few years. If you can’t opt out but you have anxiety about crowds you could do Cyber Monday and skip Black Friday this year. Make sure you signup for EBates to get additional cashback on everything you buy. I used to think this website was a scam until one of my friends tried it and started raving about it. It is a completely free and easy way to get cash back on everything you buy online. Right now they will even give you $10.00 for signing up. You should never shop without it. Make a list of the items that you truly and actually need to buy. You want to set yourself up so you are prepared to resist impulse buys. 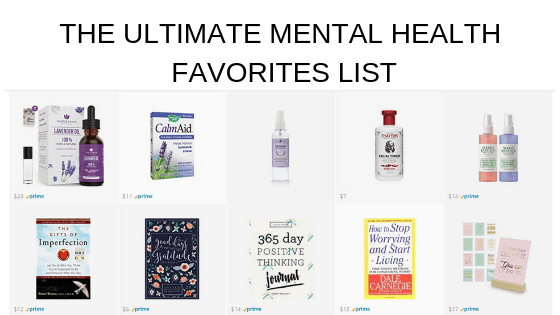 List out any items you need for yourself that you would buy anyways. My vacuum cleaner recently broke so that is an item that I would have to buy but might be able to save money on during the sale. 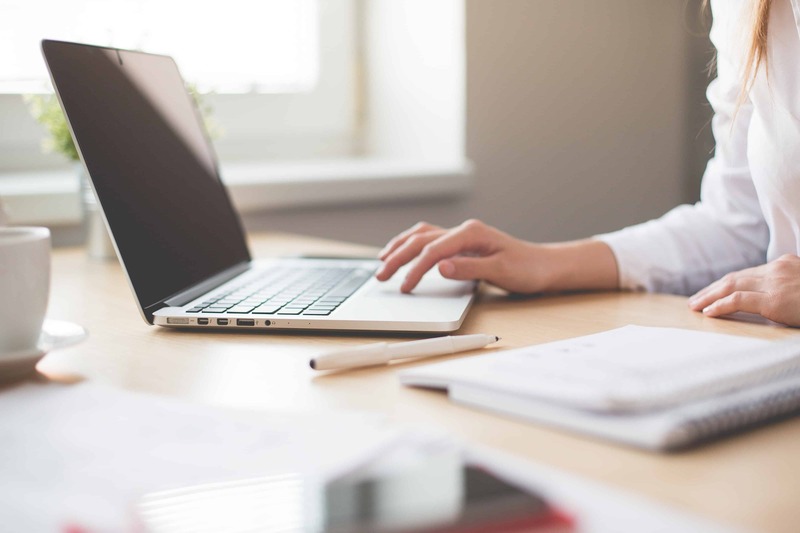 The retailers are going to be hoping you go on an impulsive shopping spree once you get in the store so you have to be ready to resist temptations. 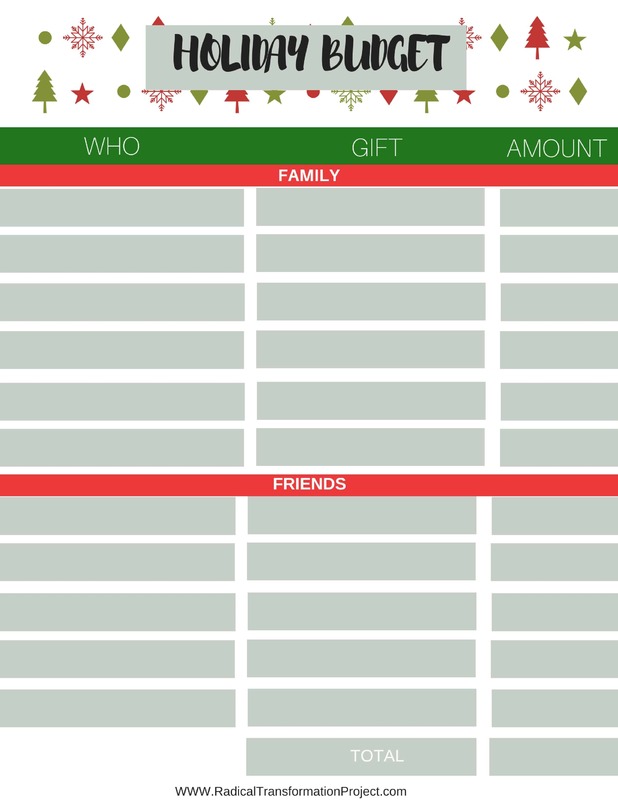 Write down any items that you need to purchase for yourself and make a list of any gifts you will need to purchase this year. 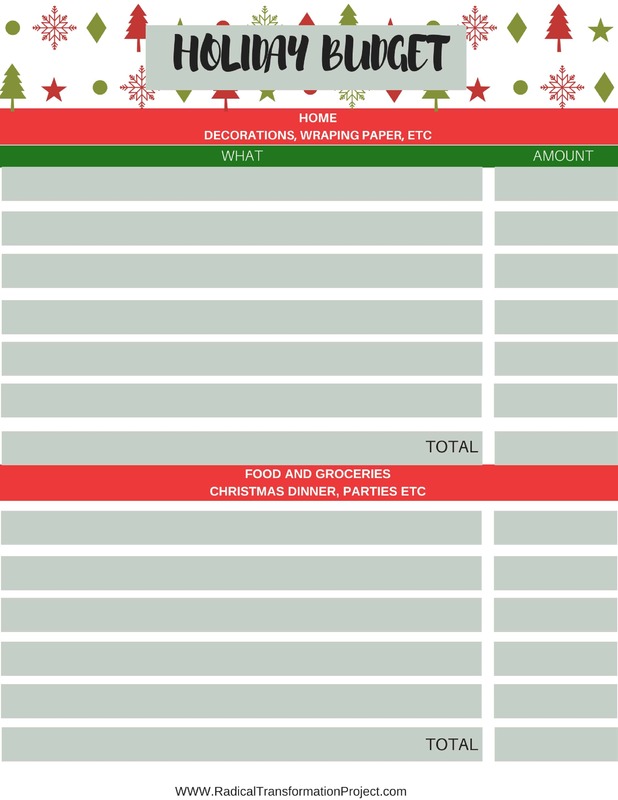 Figure out what your holiday and Black Friday shopping budget will be this year. This will also help you resist impulsively purchasing things you don’t need. 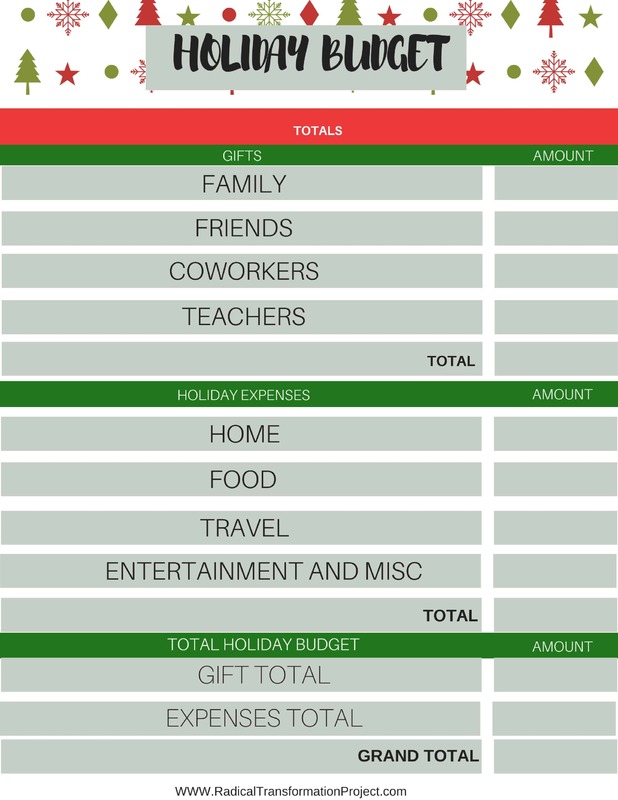 Once you know how much you have to spend on the holidays (don’t forget to include holiday meals and travel in your budget) you can figure out how much you have to spend on each person on your gift list. This will help you know if you’re in the right price range while you’re shopping for gifts. I made a set of worksheets you can use to figure out what your budget is. You can get it for free by putting your email below. Before you go Black Friday shopping write a gratitude list of what you have and are thankful for. One of the marketing tactics used to sell stuff is getting people to focus on what they don’t have. Practice gratitude throughout Black Friday and realize how privileged you are to be able to have the money, transportation, and ability to shop the sale. Get freaking pumped about how lucky and fortunate you are. If you’re in this mindset you’re a lot less likely to make un-needed purchases. A lot of impulse shopping that people do is to try and make themselves feel good in the short term. If you already feel good then you won’t have the urge to buy extra stuff to make yourself feel complete. Every year during Black Friday people generally act pretty terribly, do not participate in this behavior. Practice generosity and kindness. Give the last action figure to the lady next to you, let someone cut you in line or give away a parking space. use this time to be an example of how an excellent human being behaves. If you go out to eat or get a coffee leave your server and barista a big fat tip. The world needs more generosity on Black Friday so please be the person out there spreading the kindness around. I hope these tips help you out this shopping season and resist impulse shopping and be really freaking nice to people. I love the holiday season and I’m super excited for December this year! You can check out my Holiday Mental Health Planner or December Self Care guide if you’re interested in holiday content. I’ll be posting more stuff as it gets closer to Christmas. Stay safe and happy! We recommend that you close this web page and not continue to this website. Hi Heather, I just checked the link in the email and it is working for me. Could you forward me the email with the error in it? info@radicaltransformationproject.com. Impulse buying is really a problem. When on a tight budget, I always consider all the things that I really need. I am looking forward to the upcoming Black Friday!